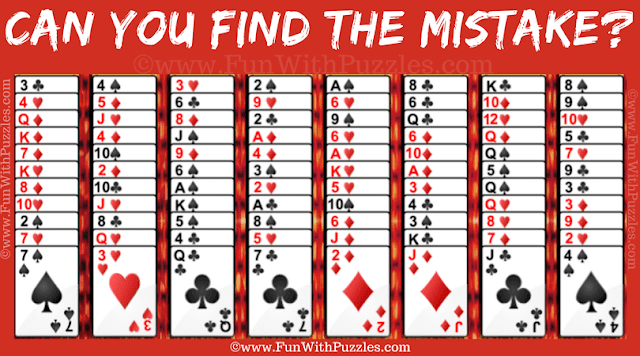 This Mistake Puzzle is dedicated to Solitaire Game players. This is tough Gypsy Solitaire Card Game Mistake Finding Puzzle for adults. In this Mistake Finding Puzzle, you have to find the error in the given puzzle image. So are you ready for this mistake finding challenge and find the mistake in the given picture? 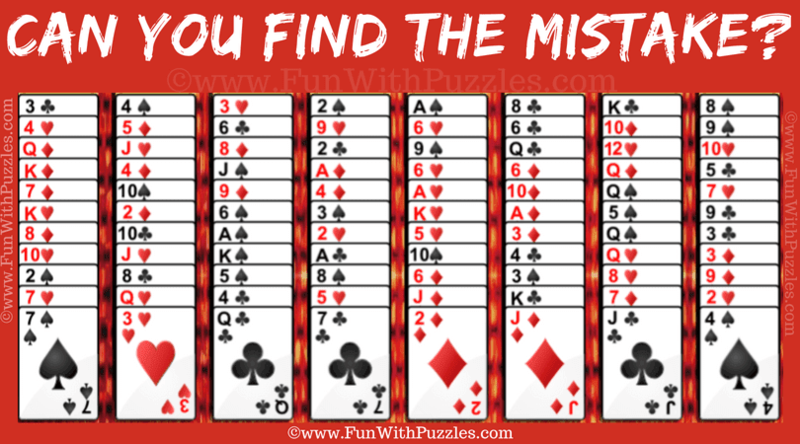 Answer of this "Find the Mistake: Gypsy Solitaire Card Game Picture Puzzle", can be viewed by clicking on button. Please do give your best try before looking at the answer. I'm unable to get any games today. What is happening? Thanks for informing us about the problem. This has been fixed now. Please do post you comment in case if you still find any issue anywhere.